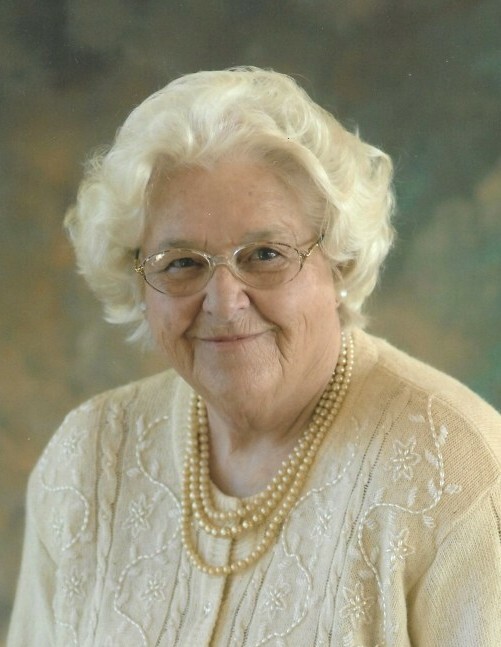 LaVonne Mebust, age 87 of Glenwood, died Wednesday, March 27, 2019 at the Glenwood Retirement Village. Funeral services will be held at 2:00 P.M. on Friday, April 5, 2019 at West Lake Johanna Lutheran Church in rural Brooten. Visitation will be one hour prior to the service at the church. Burial will be in the church cemetery. Arrangements are with the Hoplin-Hitchcock Funeral Home in Glenwood. LaVonne Lois Mebust the daughter of George and Gladys (Greseth) Femrite was born April 7, 1931 in Montevideo, Minnesota. She grew up on a farm near Dawson, Minnesota and attended LacQui Parle Lutheran Church. She attended school and graduated from Dawson High School. After high school, LaVonne furthered her education attending and graduated from nursing school in Faribault, Minnesota, as a Licensed Practical Nurse. On June 17, 1949, LaVonne was united in marriage to Harold Mebust at Riverside Lutheran Church in Dawson. The couple made their home in Revillo, South Dakota for some time before moving to Faribault, Minnesota in 1958. Along with raising her four children, LaVonne worked at the hospital in Faribault. After several years they moved to Glenwood and later in life moved back to the area. While living in or near Glenwood, LaVonne worked as a nurse for the Glacial Ridge Hospital, Glacial Ridge Medical Center and the Glenwood Retirement Village. LaVonne and Harold traveled by driving all over the country, but they particularly loved Alaska. They spent 8 full years as summer residents there and usually returned just in time for the new school year. Eventually, they moved to Ninilchik and remained in Alaska for 9 years before returning to rural Brooten, Minnesota in 1999. When LaVonne and Harold moved back to the area they became members of West Lake Johanna Lutheran Church in rural Brooten. They shared 62 years of marriage before Harold died on June 18, 2011. LaVonne enjoyed sewing, quilting, baking, especially banana bread, gardening, fishing and traveling. She loved spending time with her children and grandchildren. She will be remembered for her positive attitude, sense of adventure and her caring, compassionate nursing skills. When LaVonne needed help with her daily care, she moved into the Glenwood Retirement Village in 2012. She remained there until she passed away on March 27, 2019. LaVonne is survived by her sons: Bruce (Kirsten) Mebust of Minneapolis, MN and Lanny (Tracy) Mebust of Isanti, MN; daughters, Terri (Craig) Anderson of Brooten, MN and Julie Campbell of Anchorage, AK; 11 grandchildren; 19 great grandchildren; sisters: Vernice Anderson of Rogers, MN and Joan (Jerry) Weber of South Haven, MN, brothers: George (Nancy) Femrite of Dawson, MN, Arvid (Jan) Femrite of Baxter, MN, Loren (Carole) Femrite of Dawson, MN, and Jerry (Jeanne) Femrite of Minneapolis. She was preceded in death by her parents; husband, Harold, and granddaughter, Geulah Mebust.